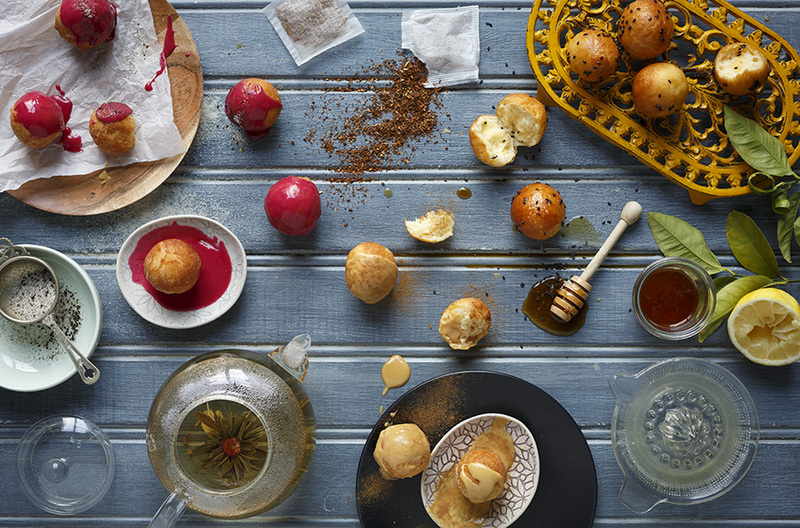 First off, Tea and doughnuts are totally a thing. They are. 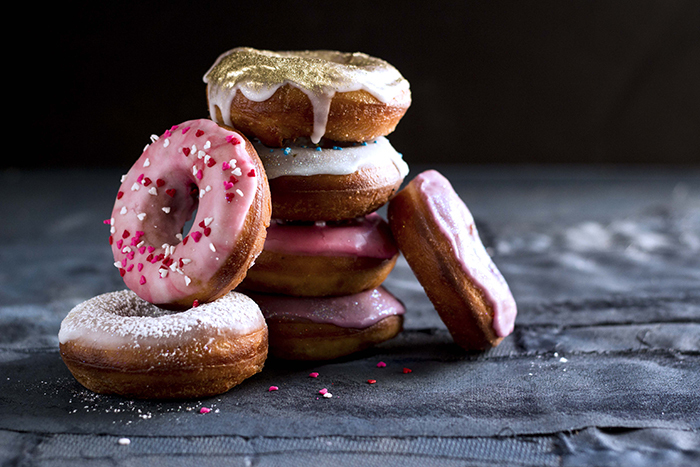 There will be none of this coffee-and-doughnuts-are-classic-combination around here, please. Let’s just all admit that tea is as good as coffee. Don’t get me wrong, coffee is ama-zing, but tea? Well, it just might be better. Especially when it comes to enjoying a cuppa with a doughnut! You see, I’ve never quite known the love that oozes from a hot cuppa tea. It doesn’t ask questions, it doesn’t get your pulse racing – tea just understands, and unlike coffee, each tea has its own… lets call it, personality. Each is designed for specific moments and feelings – but perhaps that’s through memories. 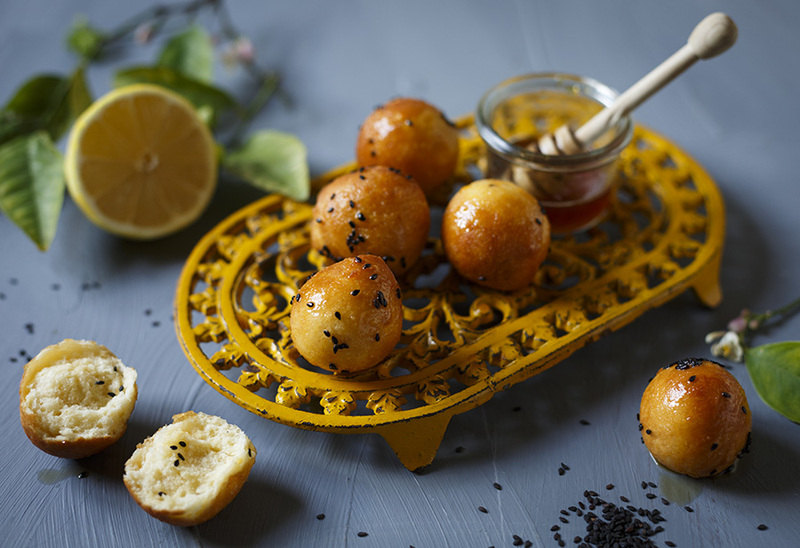 Every one of these deliciously-delectably-butter-filled-deep-fried-brioche-doughnut bites has been inspired by my favourite teas and the moments that inspire me to brew them. Rooibos, is perfect for a cold, chilly day when the rain is pouring down outside. Brewed with a bit of honey and lemon, the steam floating out of the cup… Where’s my blankie?! 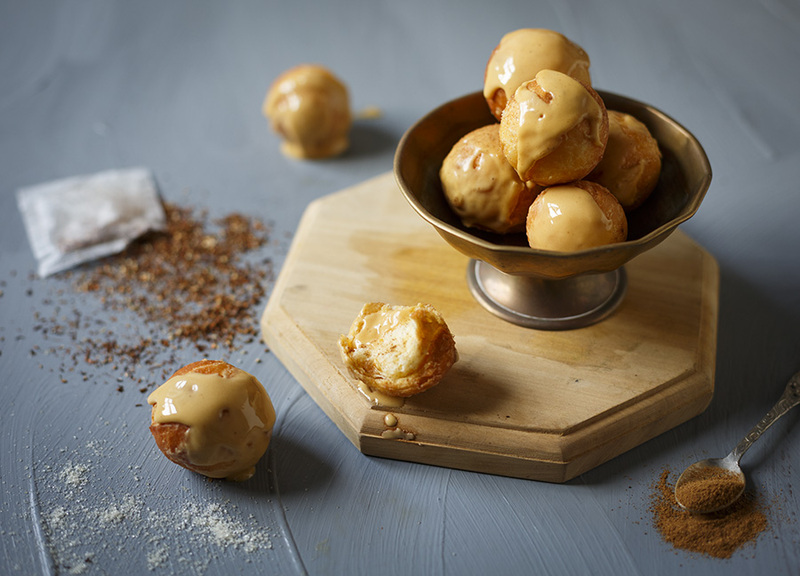 Cue these Rooibos and Sesame Honey-Glazed Doughnuts. Then there’s the fragrant, floral Earl Grey tea which I, so lovingly refer to as “Granny Tea”. Why? Because it basically hugs you back after the first sip. And everybody knows that Grannies give the best hugs. 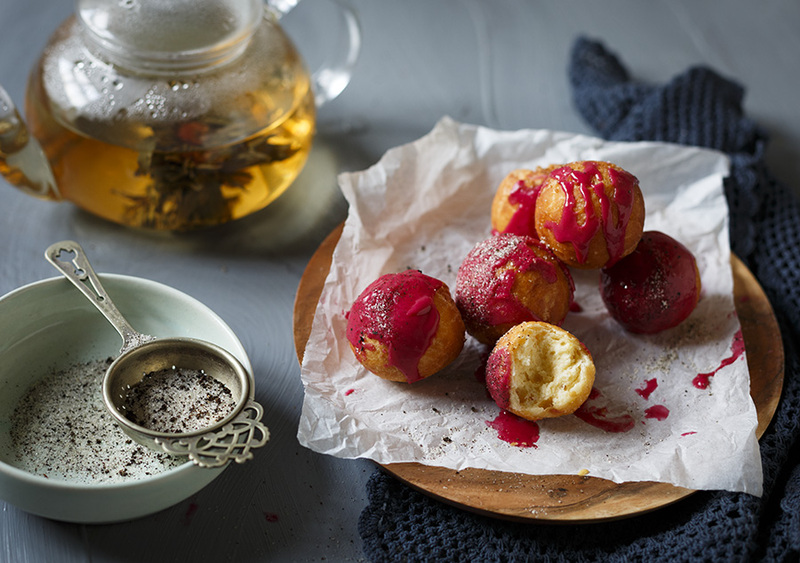 If any doughnut could give you a hug it would be these Beetroot Drizzle and Earl Grey Sugar-Coated Doughnuts. Lastly but not leastly (totally a word) – chai tea. Fragrant, spicy, warm, exotic. One waft of cinnamon ad cloves and you are lost in a spice shop in India. 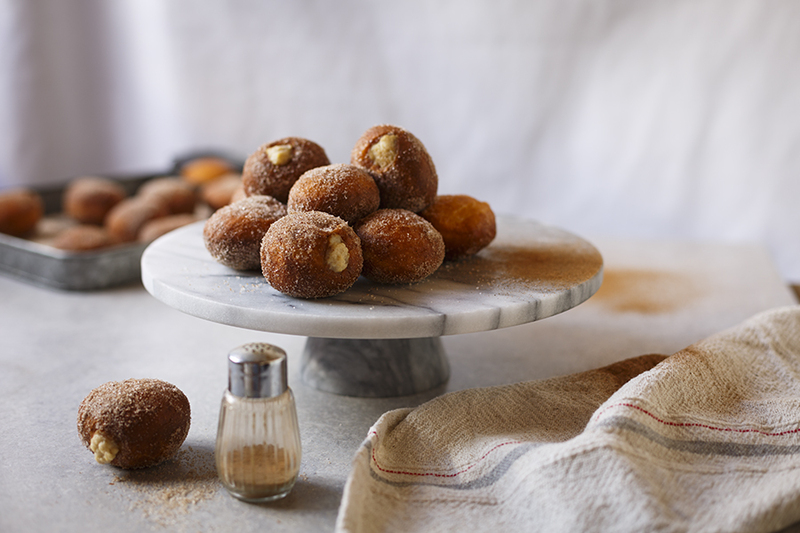 These doughnuts are sugar, spice and all kinds of nice – and they’re good without the chai drizzle too. Because the icing is so good you may find yourself without any left for the doughnuts. But hey, I’m not judging! Place the milk and yeast in the bowl of a mixer and stir to dissolve. Add the eggs, flour, butter, sugar, honey, salt and zest. Using a dough hook, knead the dough for 8-10 minutes or until a soft, smooth dough forms. Cover with clingfilm and allow to rest for 15 minutes. Mix in the egg yolks and vodka then cover again and allow to rise in a warm place until puffy and doubled in size. Blend the beetroot and water together until a liquid forms and pour it through a sieve to separate the pulp from the liquid. Mix in 2 to 3 tbsp of the beetroot liquid into the icing sugar and mix until a smooth paste forms and set aside. In a separate bowl, mix half the earl grey teabag into the sugar and set aside. Tear the tea bag open and steep in the hot water and strain. Then mix 1 tbsp of the tea with honey, a squeeze of lemon and the sesame seeds. Brew the teabag in the hot water and mix into the icing sugar until it forms a smooth paste. 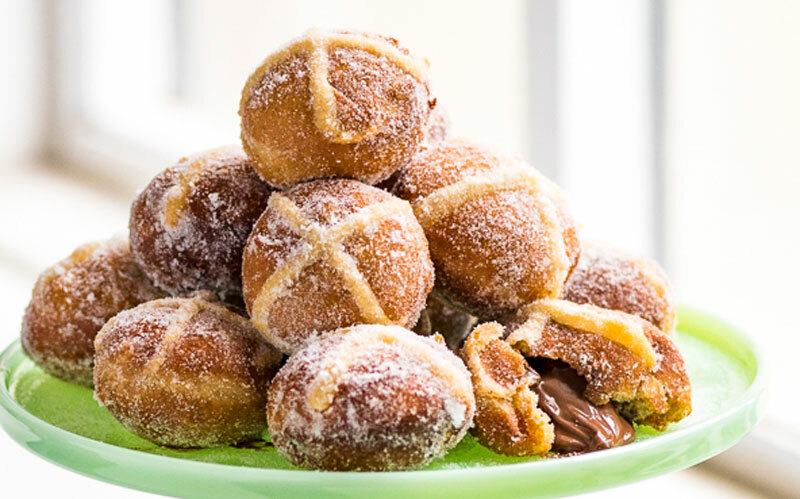 To finish the doughnuts, preheat the oil to 160°C either in the deep-fryer or in a pot with a thermometer. Knock the air out of the dough by kneading it gently in the bowl. 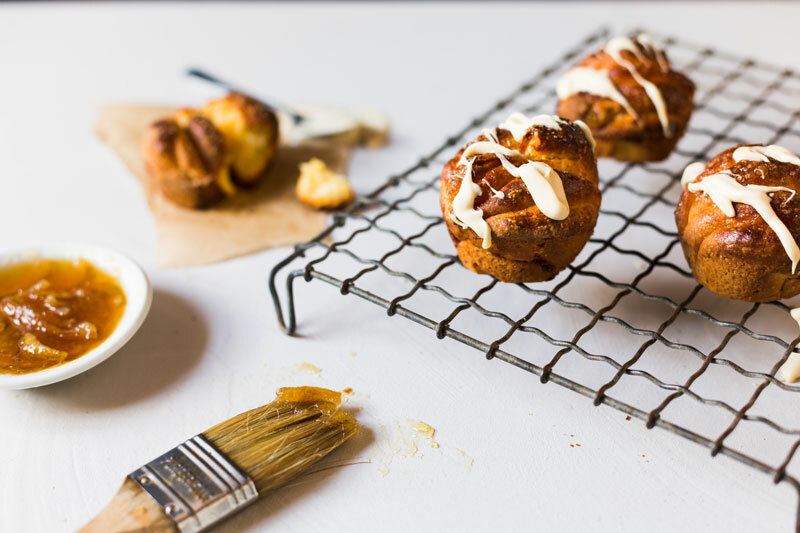 Lightly oil or dust your hands in flour and pull out walnut size chunks of the dough and roll into balls, drop them into the preheated oil and fry them in small batches (5 balls at a time) until golden brown. Once they’re done, place them on paper towel to drain off the oil. 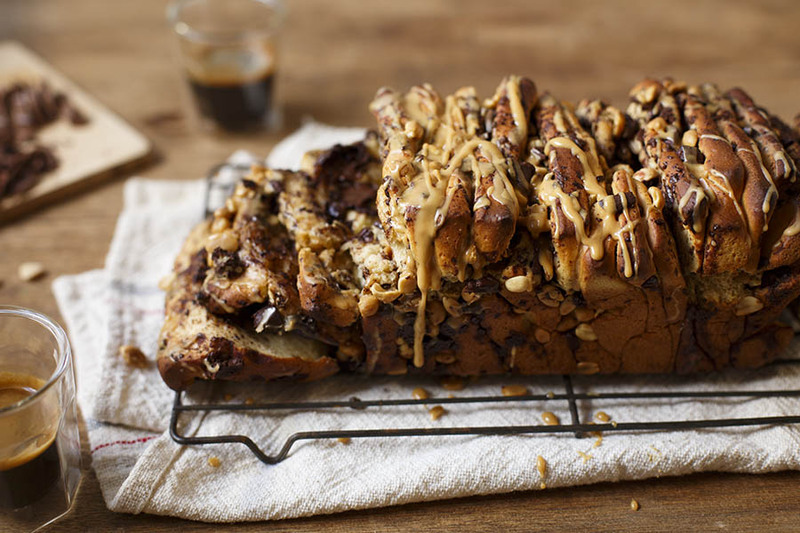 Coat the doughnuts with your chosen toppings and enjoy while still warm. TIP Best enjoyed on the day they’re made – as if I need to tell you that!